Earlier this week officials of the 2013 Miss USA Pageant arrived at Planet Hollywood and on Thursday they’ll be joined by the 51 contestants. On Monday the contestants begin filming and interviews with judges. Betting fans will be pleased to hear that Bet365 has opened a betting market on the competition. The favourite at 13/2 is Miss Florida, Michelle Aguirre, from Hialeah. She is of Cuban and Puerto Rican descent but was born and raised in Florida. Michelle does volunteer work for various charitable organisations and her hobbies include boating, fishing, water sports and the beach. The winner of the competition will immediately begin 12 months of Miss USA travels and duties. On Monday contestants will be taking part in a flair bartender challenge followed on Monday by a line-dancing contest. The first preliminary competition takes place on June 12th at PH Live in Planet Hollywood. The live NBC broadcast with Donald Trump takes place on Sunday June 16th and will be hosted by Giuliana Rancic and Nick Jonas. There will be live backstage coverage provided by Jeannie Mai from The Style Network. 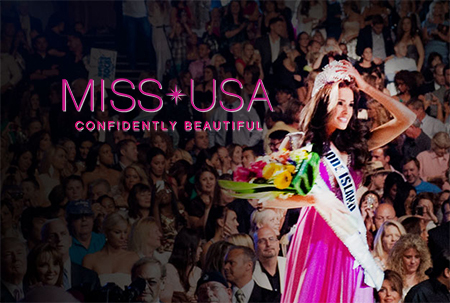 More details on all the contestants can be found at the Miss USA website.